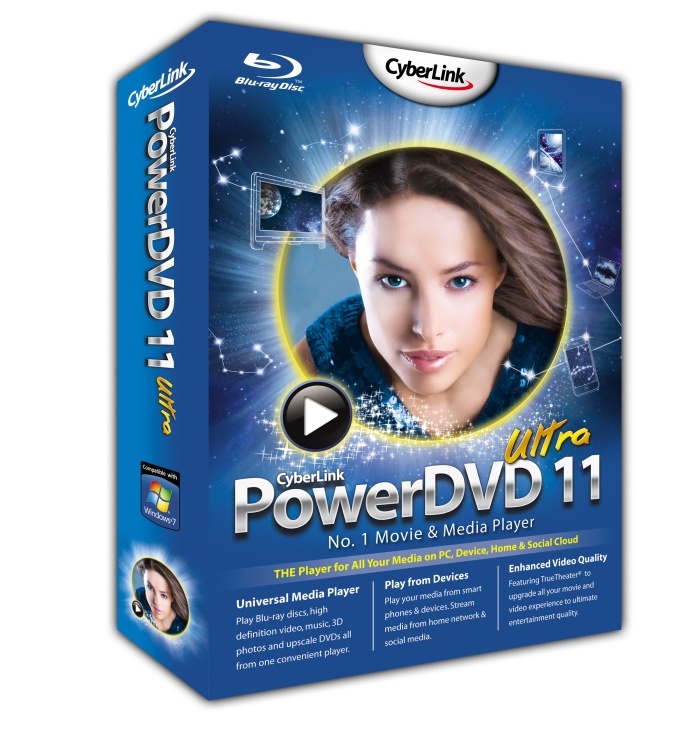 Today CyberLink officially released their new PowerDVD 11 media playback software for PC with the new version being announced as an universal player that is designed to be the only application you'll need to view Blu-ray and DVD movies, videos, photos and listen to music. Among the interesting new 3D-related features you will get in the top version of PowerDVD 11 are for example: Playback of recorded 3D TV (ISDB-T Standard), 3D Photo support (MPO/JPS), TrueTheater 3D functionality for for photos including ones from Facebook and Flickr, and the ability to Upload 3D video to YouTube. I’ll be doing a review of the new functionality added in the PowerDVD 11 Universal Media Player in the next few days, so expect more information about the new version of the PowerDVD media player very soon. The new PowerDVD 11 is already available online, supporting the following languages: English, French, German, Italian, Spanish, Chinese (Simplified and Traditional), Japanese, Korean, Russian and Portuguese. CyberLink offers OEM versions to PC and CE manufacturing customers, while a free trial download is also available from the CyberLink website. In order to get all the features available, including the Blu-ray 3D movie playback you will need to get the PowerDVD 11 Ultra that is available for $99.95 USD. The slightly more affordable PowerDVD 11 Deluxe version is $69.95 USD and while it still supports most 3D functions, you will not be able to play Blu-ray 3D movies with it. If you own a PowerDVD 10 Ultra license you can do an upgrade to the new 11 Ultra version for $59.95 USD.